- Tin & sp. material sieves for long life. We offer Centrifugal Rotor Shifter from Premium Engineers. We are one of the most reputed manufacturers of Vibro Shifters. The expert professionals manned by us enable us to ensure that these machines are fabricated in compliance with the set industry norms and deliver unmatched performance. We specialize in customizing these machines as per the specifications given by the clients. Having a definite quality management system, we are engaged in manufacturing optimum quality Shifter Machine. - Used for adding smoothness in baking preparations. 1. Inter changeable screen frames. 2. Adjustable throw & speed of rotation. Capacity/Hour: 30 to 300 Kgs. - Idea for gradation and separation of dry powder, granules and semi solid/ liquids. - Model 20", 30", 36", and 48". - Modular design of deck with easily fitted clamps. 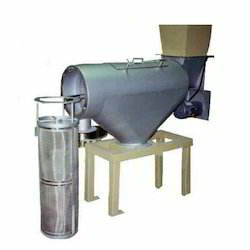 - Dust free arrangement, , lead free sieves. - Easy dismantling and cleaning. 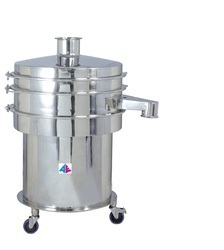 Our Vibro Sifter Machine is offered in different model as per the requirement. It is operated with heavy duty rotating motor making it effectual in the performance. In addition to this, we are one of the major Industrial Vibro Sifter Machine Manufacturers in the country. We are leading manufacturer of "Roto Shifter Machine"
Backed by our prosperous industry acquaintance, we offer an extensive range of Plant Shifter Machine. - Lesser maintenance and power consumption.